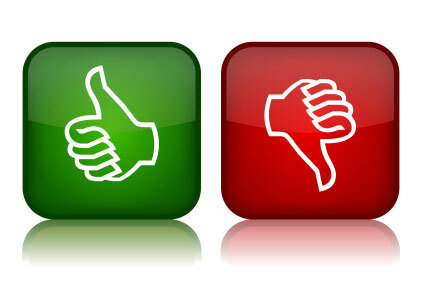 GoDaddy vs. HostGator - Which One is The Best? The new year is here and both GoDaddy and HostGator have had their websites updated to a more “festive” theme – but what does this mean for you? Besides their more aesthetically pleasing layouts, this also means savings (which will be discussed at the end of this article). Now, before we get to those savings, lets chat about what these two web hosts can offer for your hosting needs. GoDaddy has been around since 1997, has over 10 million customers, and hosts over 54 million domains… this company, clearly, is massive. They’re known for, well, doing everything. Go Daddy offers shared hosting, dedicated servers, reseller hosting plans, everything; you can purchase SSL certificates, SEO offerings and website templates, and way much more. Plus, here’s what’s actually cool. With every plan you sign up for you receive $50 promotional credits for Bing and another $50 for Facebook advertising. This allows you to drive targeted traffic to your website no matter what your end goal is, whether it be generating leads, gaining interest in your art, drawing readers to your blog, and so on. You get one-click installs for plenty of popular software and scripts such as WordPress, Zen Cart, and otherwise. If you need any help, their 24/7 customer support is there to help you out. With their normal pricing you’re looking at paying around $6 per month for their basic shared hosting plan and around $9 to host unlimited domains (instead of only one). They don’t limit your bandwidth, but with their basic plan your disk space is limited to 10GB. While they are big and always coming out with tv ads, GoDaddy users have been known to critize its web hosting services, and it’s not rare to read negative GoDaddy reviews. And now on to HostGator. HostGator HostGator hasn’t been around for quite as long as GoDaddy, they started in 2002. They don’t have as many customers either – around 400,000 – but boy do their customers rave about them. Many of their users take the time to leave positive HostGator reviews. They don’t offer Bing or Facebook ad credits, but they do offer $100 for Google AdWords (which is just as good, if not better, in my book). You’re receiving plenty of SEO and security goodies along with the package you purchase, the normal one-click installs, and unlike GoDaddy, you get unlimited email addresses attached to your domain(s). Speaking of domains, you only can host one domain on their most basic plan (unlimited with all of their other plans), but their most basic plan is extremely cheap – only $4 per month. While HostGator is not as well known offline as Godaddy, in terms of hosting, they do have a much better reputation than GoDaddy. I promised I’d let you know about the holiday savings being offered by GoDaddy and HostGator. With HostGator, no matter which plan you purchase, you save a whopping 25%! That’s a big deal. GoDaddy is offering 20% off their plans… not quite 25%, but hey, it’s not far! With both companies claiming 99.9% uptime (essentially the most important part of web hosting – think about it: if your website isn’t up, it’s rather useless, right? ), great support and pricing, there’s no doubt that both companies are great hosting options, although if I had to choose one, based on customer reviews, I’d heavily lean towards HostGator.com. 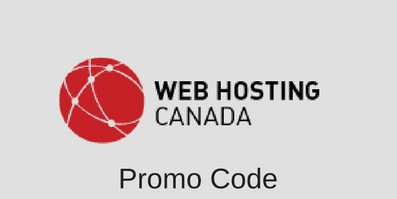 Get a 20% discount on any GoDaddy web hosting plan when you place an order using this GoDaddy promo code. And on another side note: remember there are tons of and tons of other hosting companies out there to compare and contrast to. Onward and upwards my hosting friend! This entry was posted in Guides on January 14, 2013 by Ross Cohen.